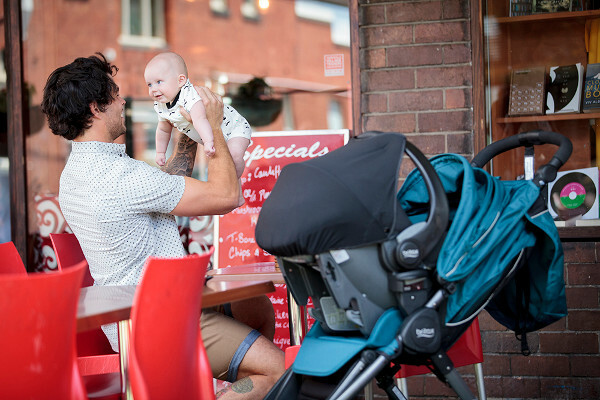 This zippy pram will take you and your bub anywhere and everywhere you want to go for a very long time. That’s because it can be used from newborn, right up until your child weighs 29 kilos. No, that’s not a typo! And that’s just the start of the magic from innovative Babyology favourite Britax. When we buy a pram, the whole point is to ensure we stay mobile and active once we’ve had a baby. But there are times when a pram is more inhibitive than freeing, particularly if it’s bulky or too precious to head off-road. But not this beauty! The Britax Agile SP is built to take on all terrains and the tallest of kids. The latest in the Britax Agile stroller family boasts the tallest seat height in the range – a 52cm backrest. That’s coupled with its ability to be used from newborn, right up until a hefty 29 kilos – the weight of an average eight or nine-year-old! The wheels are designed to head off the beaten track, because they’re filled with foam, so they’re puncture proof. The Britax Agile SP comes with two sets of receivers, turning it into the perfect travel system. Use either the Click & Go Receivers, or the Steelcraft Receivers – which work with the Britax Safe-n-Sound Unity and Steelcraft infant carriers. 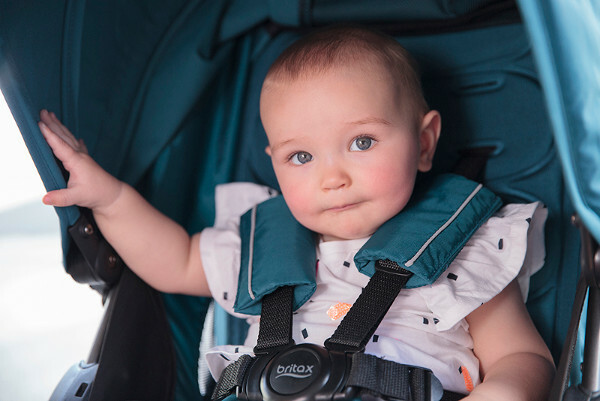 The Britax Agile SP has a quick, compact one-lift fold. The handle can be adjusted to multiple heights. The underneath storage basket is large and has a drawstring closure, so your shopping stays secure. It comes with a host of accessories, including a boot cover, soft woven knit, reversible inset, shoulder pads, a full rain cover and a removable arm bar. It’s a brilliant system that’s designed to take the guess work out of choosing a pram. The Britax Agile SP retails for $599, and you can search for your local retailer at Britax.